There are several notable women of the Middle Ages – Joan of Arc often comes to mind, as well as Eleanor of Aquitaine and Christine de Pizan. But one woman – a Welsh princess – is less known, despite her remarkable contribution to Welsh medieval history. Gwenllian Ferch Gruffydd was born around 1100 AD, and was the daughter of Gruffudd ap Cynan, Prince of Gwynedd, and Angharad Ferch Owain, herself a member of the noble Aberffraw family. 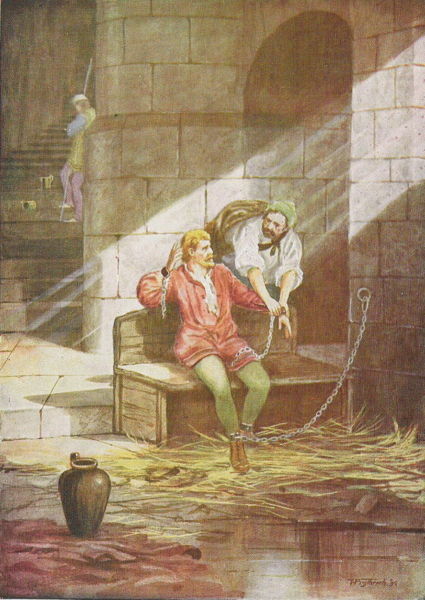 Gruffudd ap Cynan escapes from Chester, Illustration by T. Prytherch in 1900. The youngest of 8 children, Gwenllian was known to be extraordinarily beautiful, intelligent and, as a member of a noble family, well educated. When she was around 13 years of age, she met the great love of her life, Gruffydd ap Rhys, Prince of Deheubarth. They eloped and soon welcomed their first of four sons. As idyllic as this may sound, life was difficult for those living in Wales. 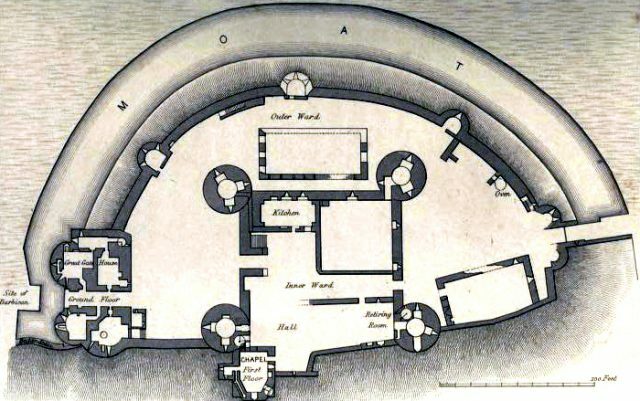 The Norman Conquest of 1066 brought turmoil, and many Welsh nobles lost their land and possessions to the Norman-French, who then built large and impressive castles and fortifications, such as those at Aberystwyth, Ceredigion, and Pembroke. And these castles stood on land that had once belonged to the kingdom of Deheubarth. 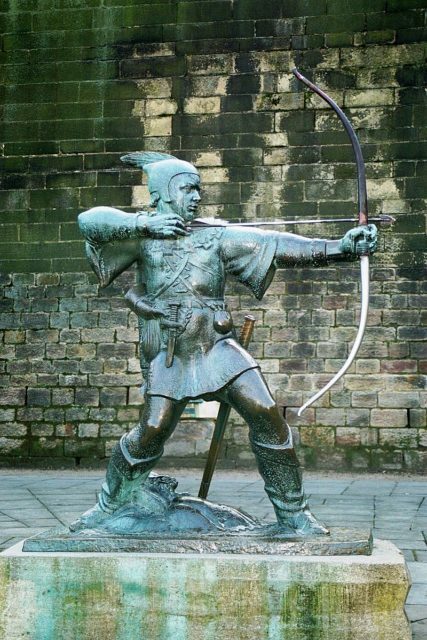 The family was displaced by the conflict with the Normans, and Gwenllian joined Gruffydd in the mountains and forests, from where they led retaliatory raids, much like the legendary characters of Robin Hood and Maid Marion, as historian and author Philip Warner writes. These raids were merely an annoyance to the Normans until 1135 when King Henry I died. A power struggle ensued between his nephew, Stephen of Blois, and his daughter, Empress Matilda. What followed was civil war, known as the Anarchy. This conflict tore at the central authority in England, and the Welsh saw an opportunity. Hywel ap Maredudd, Lord of Brycheiniog, marched with his men on Gower, where he defeated the French lord Maurice de Londres, who retreated to his castle at Cydweli. Inspired by Hywel’s success, Gruffydd ap Rhys met up with his father-in-law to ask for his assistance in the revolt. The aim was to amass an army large enough to force the Normans out of Deheubarth. Meanwhile, not wanting herself or her sons to be left vulnerable, Gwenllian decided that she and her two older sons would fight to defend their lands, after ensuring that her younger children were safely away. She gathered the support of the local men, raising a small army that was made up of about 200 poorly equipped individuals. 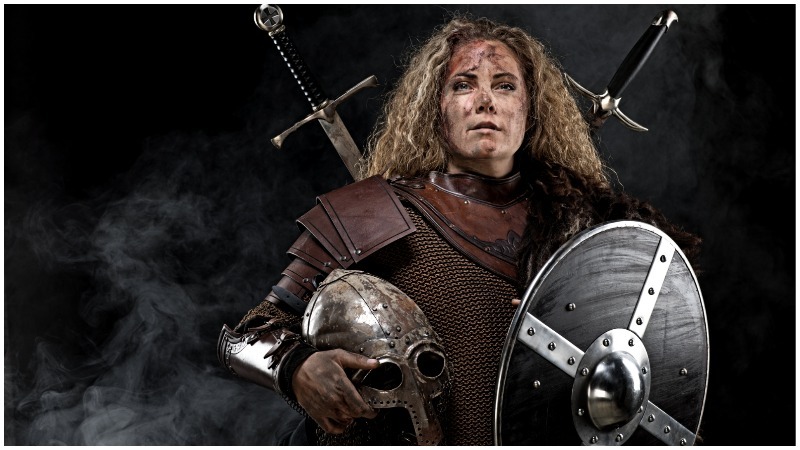 In an attempt to counteract the retaliatory forays led by Marice de Londres from his posting at Cydweli Castle, Gwenllian and her men camped nearby and planned their own lightning raids, as her husband had done. Kidwelly Castle and clear blue sky. She planned on splitting her force in half, with one group staying at the camp and the other cutting off supplies to the castle. However, she was tragically betrayed by her chieftan, Gruffydd ap Llewellyn, who met with Maurice de Londres and revealed Gwenllian’s position. 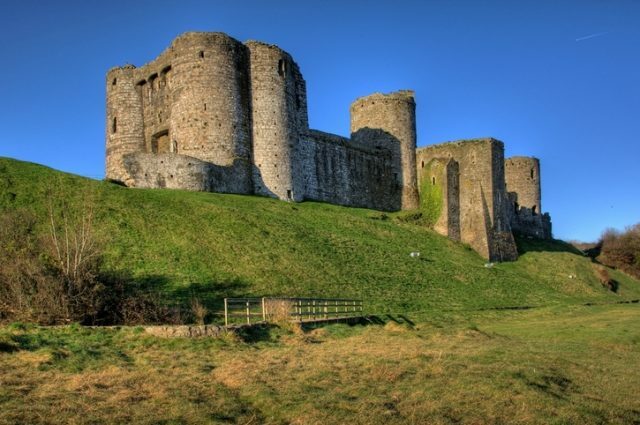 As a result, and having lost the element of surprise, her forces were routed at a battle near Cydweli Castle. Gwenllian fell from her horse, and her eldest son Morgan died trying to protect her. Her other son, Maelgwyn, could only watch helplessly as his mother was captured. She and Maelgywn were subsequently executed on the battlefield, a site that has since become known as Maes Gwenllian, or the field of Gwenllian. Her death, however, was the catalyst for the Great Revolt of 1136. News of her death spread quickly throughout Wales, and, naturally, the Welsh vowed revenge. Iowerth ap Owain led a force from Gwent and killed Richard Fitz Gilbert de Clare, the Norman lord in control of Ceredigion. 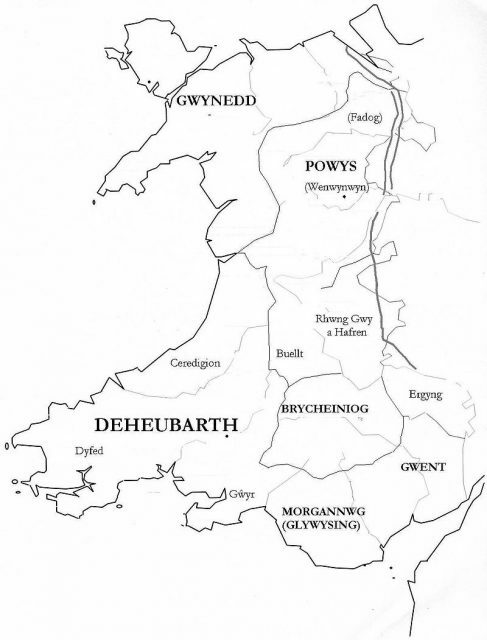 Gwenllian’s brothers took three cities in the area – Llanfihangel, Aberystwyth, and Llanbadarn – and her husband and father, their forces now joined as originally planned, also began their own offenses. Fittingly, her youngest son, Rhys ap Gruffydd eventually took back Cydweli castle from the Normans, becoming the greatest Welsh lord of his time, regaining many of the Deheubarth lands, and founding the first Welsh Eisteddfod – a festival tradition that continues to this day.